Here’s what’s going on in green. Bethesda Green Gala Coverage: Our first Gala was a huge success! We’ll be posting a recap soon. The heart of the event was the presentation of the Bethesda Magazine Green Awards, all of whom will be profiled in the magazine’s November/ December issue. Read about one of the winners in this Montgomery Gazette story about Noah Katz, who placed first in the 18-and-younger category. Other gala mentions we’ve seen include nice blog kudos from Bethesda Bungalows. Flavor Magazine published a profile of BG Executive Director Dave Feldman and the Green Business Incubator. Go Green, Get Green Rebates Set to Begin in D.C. – The long-awaited DC ENERGY STAR appliance rebate program launches October 25. Any D.C. resident who replaces an existing appliance with a new Energy Star appliance is eligible for the rebate. For example, you can get between $100 and $125 for purchasing an energy efficient clothes washer. You can also get up to $300 for an energy efficient water heater. Think Local First DC has a new website. This D.C. group’s mission is to work with independent businesses, consumers and policymakers to grow a sustainable, local economy in Washington DC. Check it out at thinklocalfirstdc.com. This class takes place at Montgomery College-Silver Spring campus. What does “green remodeling” really mean when you’re just redoing a bathroom or updating your kitchen? In this class, learn about every-day, real-world tips, techniques, and strategies that you can implement right away in your next home remodeling project. Taught by the Green Building Institute. Join us Thursday, Nov. 4, from 5-8 p.m at Louisiana Kitchen for casual conversation and a Special Tribute to Gulf Coast Restoration Efforts. Bethesda Green is partnering with Gulf Savers, a nonprofit initiative that delivers native marsh grass to help restore the Gulf Coast ecosystem, and Voice of the Wetlands, a nonprofit focused on driving awareness about the loss of the wetlands in southern Louisiana. Contribution at the door: $10; Dedicated donations of $25 cover delivery of one Gulf Saver Native March Grass Bag. RSVP via Meetup. Sponsored by the Home Builders Association of Maryland and the Maryland Residential Green Building Council, this event aims to educate the public on how in these tough economic times, going green can save green! The show features more than 125 exhibitors from across the Mid-Atlantic region, plus speakers and demonstrations. Come learn everything about saving energy, saving water and most importantly, saving money! Where: Maryland State Fairgrounds, Timonium. This class takes place at Montgomery College-Germantown campus. RSVP by October 4 for the Bethesda Green Gala! 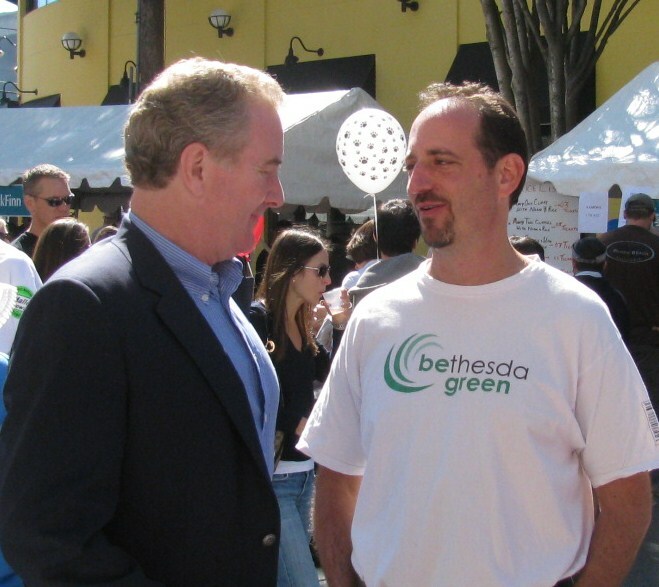 Registration for the Bethesda Green Gala has been extended through October 4! Make plans to attend the Gala this Thursday, October 7 from 6-10 p.m.–and register today! See this previous post for more Gala information. Hope to see you October 7! Just got word about these–a bit late for today’s DC Area Solar Homes Tour, but it continues tomorrow, October 3, so you can still make it! Tour guide available at www.SolarTour.org (free download), or at local REI stores and other select local retailers ($5 at the stores). Tour guide/ticket are $2 each and available at area locations in Western Maryland (see http://www.solartour.org/md/index.html for details). Fair at the Lutheran Church of the Reformation located on East Capitol Street – just 2 blocks from the U.S. Capitol and Supreme Court.